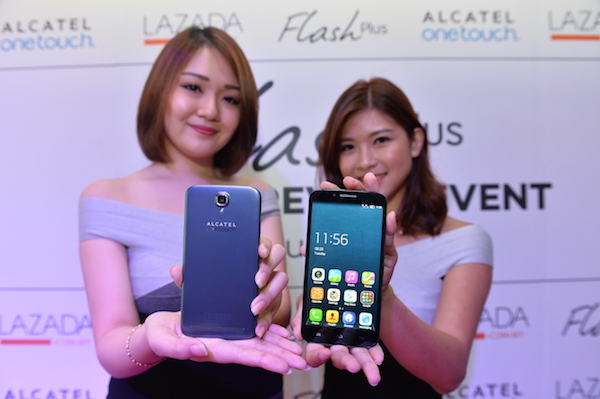 Lazada brings the ALCATEL FLASH PLUS exclusively to Southeast Asia | Lazada announces its exclusive partnership with ALCATEL FLASH to launch their latest prime smartphone model, the ALCATEL Flash Plus. Built for selfie addicts and mobile warriors, the ALCATEL Flash Plus is the latest addition to the list of exclusive products offered by the one-stop online shopping destination. “Consumers are always looking out for the best in mobile technology. 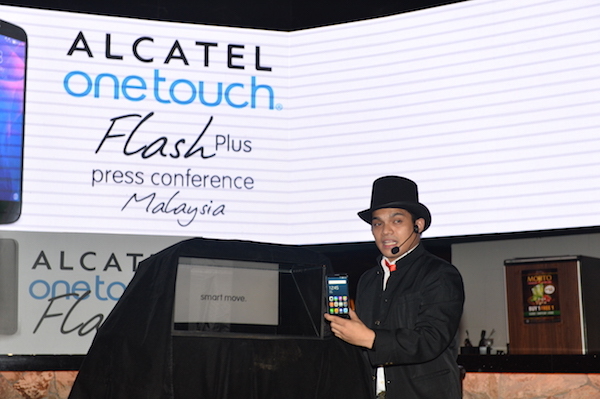 We are very excited to partner with ALCATEL FLASH to bring the ALCATEL Flash Plus to Malaysia. The smartphone is packed with great features which are available exclusively to our customers,” said Hans-Peter Ressel, CEO of Lazada Malaysia. The ALCATEL Flash Plus is the perfect smartphone that eliminates the need for a separate camera or phone with its camera and dual SIM features, and has long lasting battery power. With an 8 MP front camera that comes with voice recognition, just say ‘cheese’ to take the perfect selfie. The front camera also features facial-enhancement capabilities and an 84-degree wide angle to capture more of your background. The 13 MP rear camera comes backed with an aperture of F2.2, making low-light captures. The ALCATEL Flash Plus has one of the largest batteries in the market, standing at 3500mAg. Only a single charge is needed for the smartphone to last the whole day. With a Superior 5.5” IPS HD Display, the ALCATEL Flash Plus offers fantastic wide-viewing experience ideal for reading, gaming, watching videos or simply surfing the web. In addition, the One Glass Solution (OGS) full lamination provides a visual treat to the eyes with real life-like picture quality. The powerful 64Bit 8 Octa-core 1.5 GHz processor makes multitasking a breeze whilst the addition of the graphic powered Mali-T760 MP2 GPU allows for a richer audio and multimedia experience when watching HD movies and playing games. With highlights such as a Dual SIM with TDD-LTE and FDD-LTE technology ALCATEL Flash Plus, users can eliminate the need to carry another phone whilst travelling. With an optimised 2GB RAM, users also enjoy faster speed with clear images and precise colour accuracy on a wide screen. Consumers who pre-order will be able to purchase the ALCATEL Flash Plus at a special price of RM499 beginning from 25th August – 7th September. After that, the phone will be available for a limited period at RM549, only at http://www.lazada.com.my.